When it comes to picking out a musical instrument for your child to start off with, you have a few solid choices that feed the unique requirements of a child. You’ll want something that’s fun, easy to play, and lends itself towards teaching the basics of musical theory. In past articles we’ve written about how the ukulele can be a great kids instrument, but today we’re going to look on the percussion side of things and see why the xylophone is a perfect first instrument for a child. The xylophone is a classic instrument that has been around for at least 1600 years, and despite being so old it’s still an excellent first instrument for a child to start out with. In the strict definition of the word, an xylophone uses wooden bars in different notes and lengths to produce different sounds when struck with a mallet. The xylophone is a tuned instrument, meaning that the bars are designed to produce a specific note when struck. Many xylophone’s marketed towards kids are actually “metallophones“, which have more durable metal bars instead of wood bars. For the sake of sticking with the popular nomenclature, we’ll refer to all of these as xylophones. The xylophone may just be the most simple way for a child to visualize and understand musical concepts. Often the xylophone bars will be labeled with the corresponding note, which makes it easy for a kid to associate the sound of a note with the letter, and how different notes relate to each other. Learning scales and octaves will be integral with your child learning the xylophone which is very important across all musical instruments. They will also learn fine motor skills when it comes to striking the bars with their mallets to get the desired level of volume and as well as work on their rhythm. Another important component of the xylophone being great for kids is that they’re generally very durable and kid friendly. As we stated before, most used metal bars that would be impossible for a child to damage, at worst you may need to replace a wooden mallet which isn’t too expensive. Kids generally enjoy percussion instruments more than other instrument families because they have a very simple learning curve and don’t require a ton of technique to get started. Hopefully you see the benefits to the xylophone, now let’s jump into which ones are the best for your child to learn on! If you’re looking to buy an xylophone for a toddler, you’re going to want to make sure it’s designed to withstand some abuse! 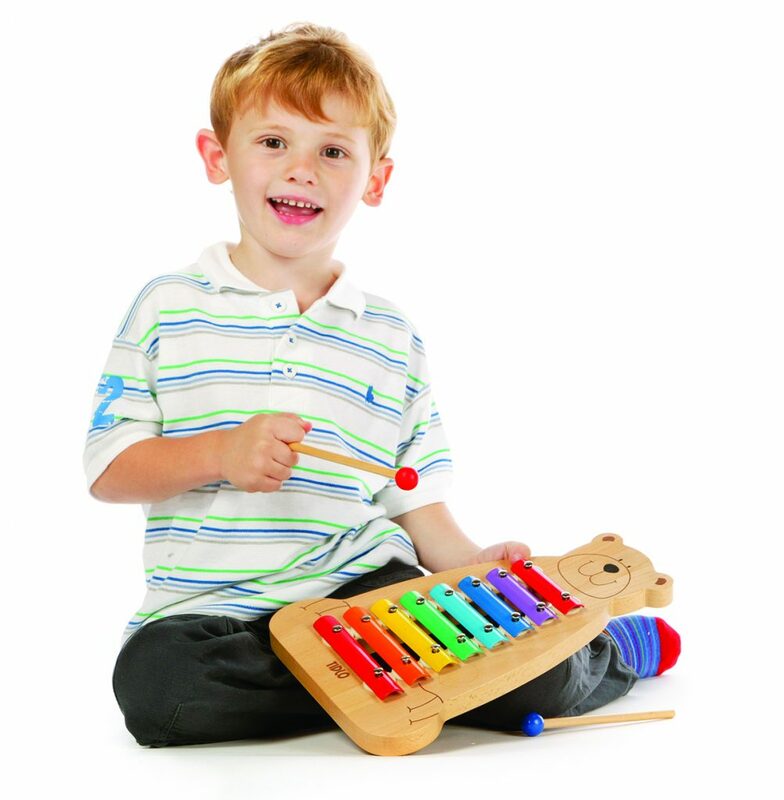 This Hohner Xylophone designed specifically for toddlers comes with a mallet safe for kids 12 months and older and is designed so the bars won’t fall off if they toss it around. 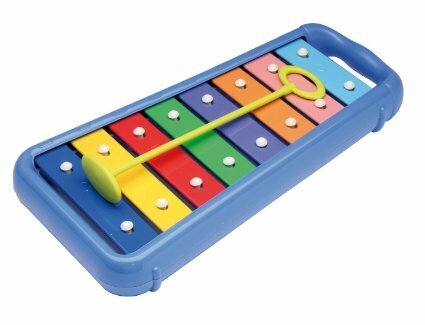 One other unique selling point of this xylophone is that unlike other products aimed at toddlers, this actually sounds like a beautiful instrument. This shouldn’t be too surprising since Hohner is well known for producing many different instruments for professional musicians, especially their harmonicas. When it comes time to buy an xylophone for an older child in their pre-school to elementary school years, you’ll want something that covers more than 1 octave. This Lyons 25-Note Xylophone covers 2 octaves and the bars are removable in case you find that useful for learning. Another great feature of this xylophone is that it’s in its very own carrying case, so it’s extremely easy to transport. Two mallets are included and made of flexible, durable plastic. 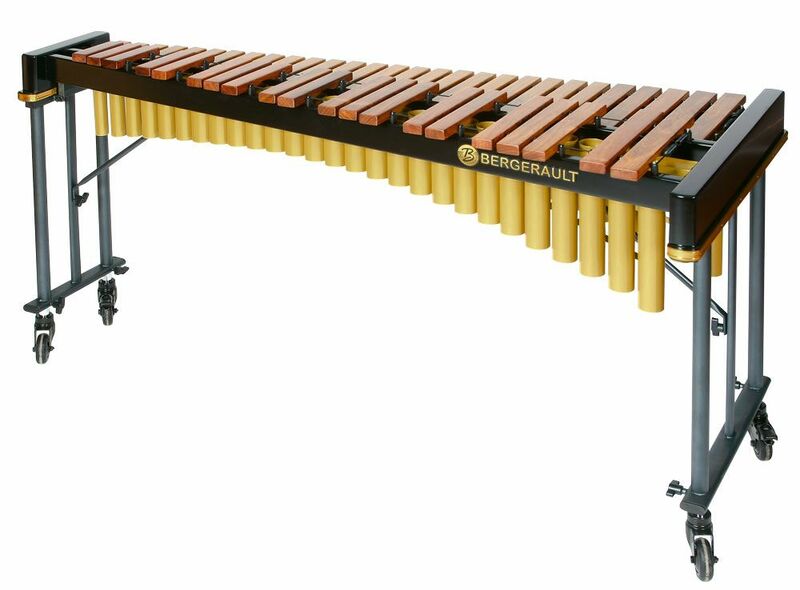 This xylophone uses steel bars and produces a great bell-like sound when struck. 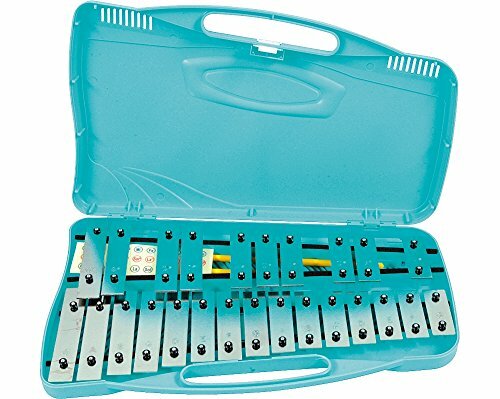 If you’re looking to invest more in a true xylophone for your child to learn and grow on, then take a look at this affordable Stagg 37-Key Xylophone. This xylophone covers 3 octaves and uses real wooden bars. 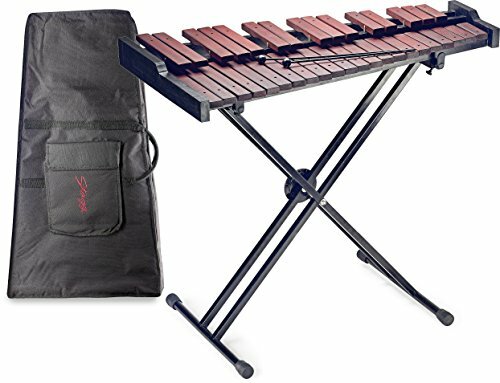 This xylophone comes with mallets, a stand, and a nylon gig bag for transporting your set. 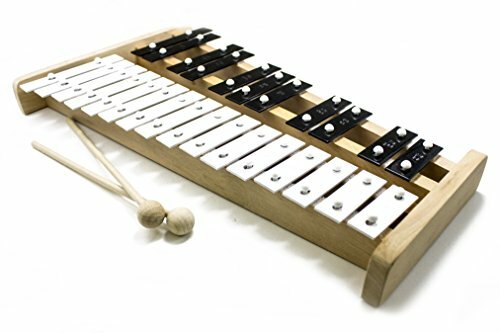 This xylophone offers everything you need to take on learning about music at a deeper level. One suggestion would be to also buy another set of mallets since the ones that come with it don’t let this xylophone sound as good as it can. We recommend these Vic Firth mallets.